New report released on the inclusion of breastfeeding measures in electronic health records. The Lactation Supportive Environments (LSE) project aims to increase access to settings that encourage breastfeeding initiation and duration. An important component of the LSE project’s work has been partnering with six San Diego County community healthcare centers (CHCs) to create more breastfeeding-friendly venues for patients and employees. As part of their efforts, the LSE project provides support, training, and technical assistance to CHCs in 10 key areas; Electronic Health Records (EHRs) is one of the key areas. 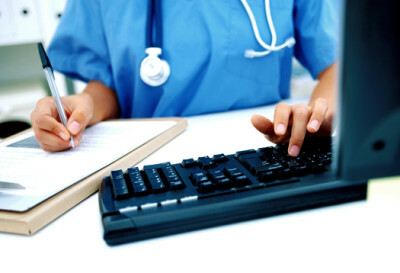 Beyond the value to direct patient care, expanded use of EHRs has the capacity to inform quality improvement efforts and address larger questions important to community and population health. Given the growing use of EHRs throughout the healthcare system, this project sought to better understand current practices, challenges, and opportunities around the inclusion of breastfeeding measures in outpatient EHRs. The report, Breastfeeding Measurement in the Outpatient Electronic Health Record, was released in April 2016 by the LSE project. LSE is a project of the County of San Diego Health and Human Services Agency implemented by UC San Diego Center for Community Health and funded by First 5. The report has garnered much attention and has been recognized by the California Department of Public Health and the California WIC Association as a potentially important addition to the 9 Steps to Breastfeeding Friendly Clinics Toolkit. In addition, the report may also be used to support legislation for AB-2589 Public health: lactation services and equipment. The report summarizes subject matter experts and key stakeholder interviews around the current state of breastfeeding measures and the short- and long- range recommendations that may be useful to promote greater inclusion of breastfeeding measures in EHRs. Click below to read the report! Learn more about the Breastfeeding-Friendly Community Healthcare Center project. Previous Article: New Success Story Videos!